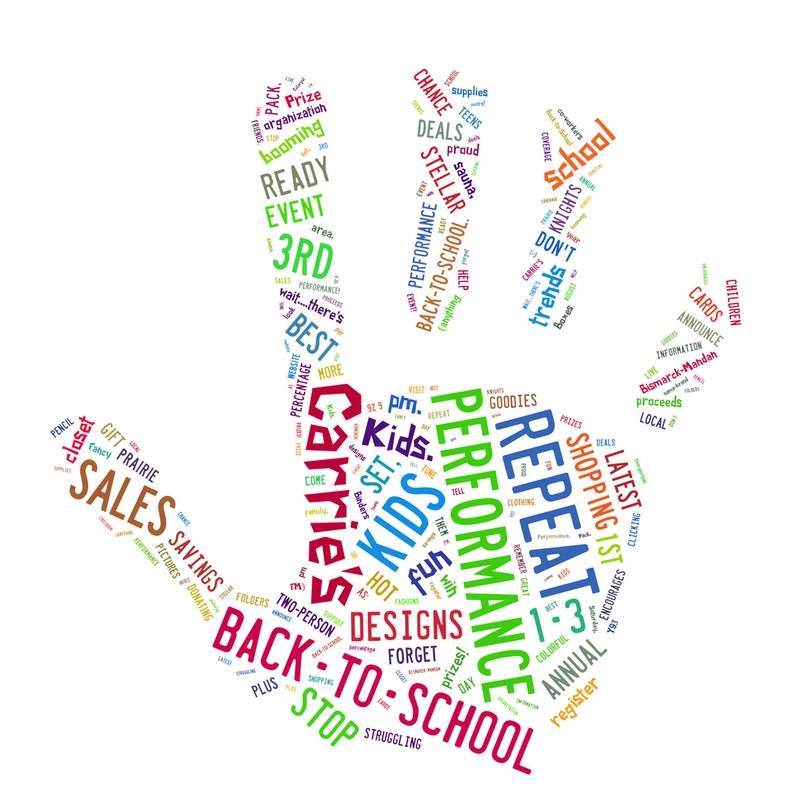 Get ready, get set, and get shopping with Repeat Performance for their 1st Annual Back-to-School Sales Event on Saturday, August 3rd from 1-3 pm. Not only will you find the latest trends in name-brand fashions but also other hot deals and stellar savings that will have your closet booming for back-to-school. Don't forget to stop in and register for your chance to win four $25 gift cards from Repeat Performance, a Prairie Knights Prize Pack, and a two-person sauna, plus many other goodies and prizes! But wait....there's more! Repeat Performance is proud to announce that a percentage of their proceeds made that day will go to Carrie's Kids. Carrie's Kids is a local organization designed to help support children and teens in need throughout the Bismarck-Mandan area. These items can be dropped off at Repeat Performance ANYTIME throughout the next few weeks. Tune in to Y93 (92.9 FM) on Saturday, August 3rd from 1-3 pm for live coverage of our Back-to-School Sales Event! Remember to tell your family, friends, and co-workers and stop in for great deals, fashionable clothing, prizes, and to support Carrie's Kids. Perform your best and look your best this school year with Repeat Performance! Get ready, get set, and get shopping!